Taylor Swift has 70.9 million Twitter followers. Have you heard of Austin Evans? He currently has over 1.3 million subscribers to his YouTube channel. 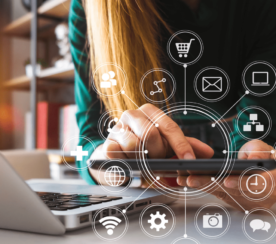 As marketing has evolved in the digital age, brands are launching profitable social media campaigns with the help of celebrities and influencers. Capitalizing on a celebrity’s fame and fan base is not a new marketing concept by any means. What has changed over time is how brands are using celebrity endorsements and also what constitutes a celebrity. With YouTubers, Snapchat celebrities and Instagram stars making names for themselves, brands are targeting influencers with large audiences to get their brand messages to the masses. Below are a few examples of social media celebrity endorsements that paid off big time. As you will notice when you go through the list, the campaigns included not just celebrities in the traditional sense, but also social media influencers and daredevils. Some of the campaigns involved offline ads in addition to the social media work, too. April 1, 2015 was the #BestDayEver, or that was at least the hashtag used by Chevrolet. Five celebrities were involved in the social media campaign, including Ian Somerholder, Alec Baldwin, Nikki Reed, Norman Reedus, and Olivia Wilde. The goal was to launch Chevrolet’s #BestDayEver campaign and create buzz among the public that something big was happening. The celebrities showed up at college campuses across the country as substitute teachers. 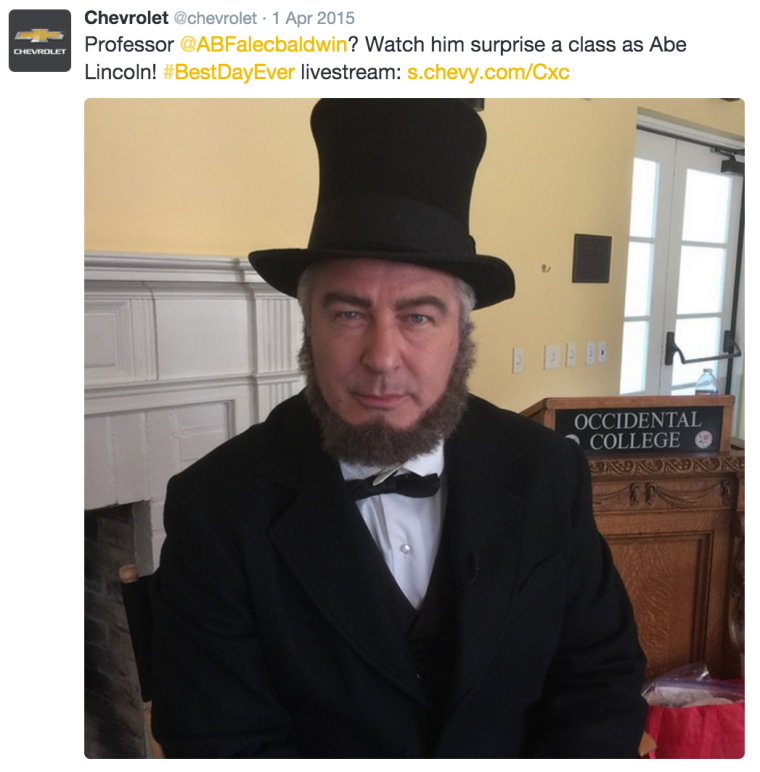 For example, Alec Baldwin (dressed up as Abraham Lincoln) arrived on the Occidental College campus as a substitute teacher for a U.S. history class, while Ian Somerhalder and Nikki Reed taught a business course at Emory University. Multiple videos and social posts were created as part of the #BestDayEver campaign. Within 24 hours, the social media posts attracted 1.5 million organic likes and shares. Those numbers don’t even include the activity resulting from the college students sharing their videos, images, and messages about the famous substitute teachers. Takeaway: Why use one celebrity, when you can hire a crew of them? Snapchat celebrity Shaun McBride, better known as Shonduras on the popular social media platform, has amassed hundreds of thousands of followers. That is a big reason why Taco Bell sought him out to act as a brand ambassador. For example, last year McBride was part of an ad campaign promoting Taco Bell’s Cap’n Crunch Berry Delights. As part of the campaign, Taco Bell allowed McBride to take over its Snapchat account. The result was nothing short of hilarious. His followers were alerted to the fact that he was grocery shopping and could watch his adventure. He went straight to the cereal aisle and picked up a box of Cap’n Crunch. 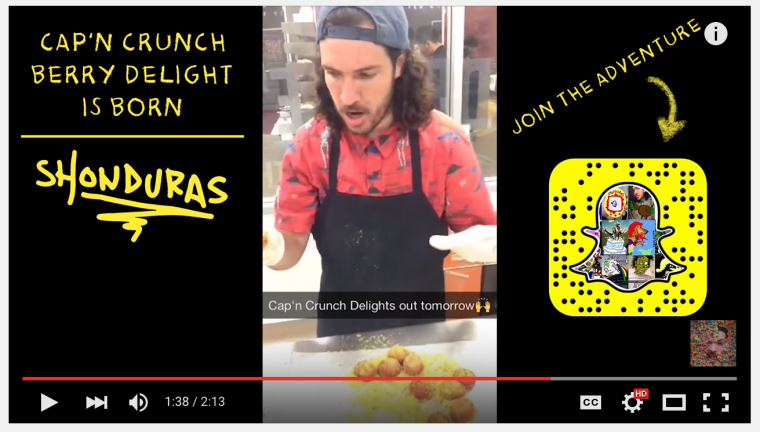 The video then dropped him into the Taco Bell’s headquarters and then went on to promote the launch of Cap’n Crunch Berry Delights offered by the fast food giant. While I don’t have the exact results of that campaign, it must have worked because Taco Bell continued to engage McBride, along with other social media influencers, in its Super Bowl 50 campaign. The day before the Super Bowl, Taco Bell ran a Snapchat story to market the launch of its cheese-stuffed chalupa, known as the Quesalupa. People were encouraged via a funny press release on Taco Bell’s website to pre-order the Quesalupa and pick up the food item before it was publicly available. The campaign resulted in 40,000 pre-orders. Takeaway: Make it fun, make it quirky, and turn it into a story. Whether you have “Bieber Fever” or not, it’s hard to ignore the influence he has on fans. Calvin Klein was able to piggyback on Justin Bieber’s fame when it launched its spring underwear campaign. Before Bieber shared the news of his partnership with Calvin Klein, the brand methodically teased it on its own social media channels. The campaign included several shots of Bieber posing with Lara Stone and, within 48 hours of the launch, #mycalvins generated 1.6 million Twitter mentions. To put it into perspective, the campaign received five times as many mentions as Kim Kardashian’s Paper Magazine’s naked cover shoot, which was associated with the #breaktheinternet hashtag. Twitter wasn’t the only social media platform that saw a spike in Bieber/Calvin Klein chatter. In January 2015, the campaign became one of the top Facebook trends. Plus, the Justin Bieber-Calvin Klein Underwear Spring 2015 video now has 10.5 million views. The brand reported an increase in apparel sales following Bieber’s endorsement. Takeaway: Cause anticipation by teasing the celebrity partnership. You may not recognize the name Felix Baumgartner, but he is famous in his own right. Red Bull, which has been tied to extreme sports, partnered with Baumgartner on his record-breaking skydive. The mission was termed the Red Bull Stratos. The supersonic free fall occurred a few years ago and is still a great example of how a brand can use a well-known individual and social media to promote itself. The Austrian skydiver jumped from 128,000 feet, which is nearly four times the height of a cruising passenger airliner. 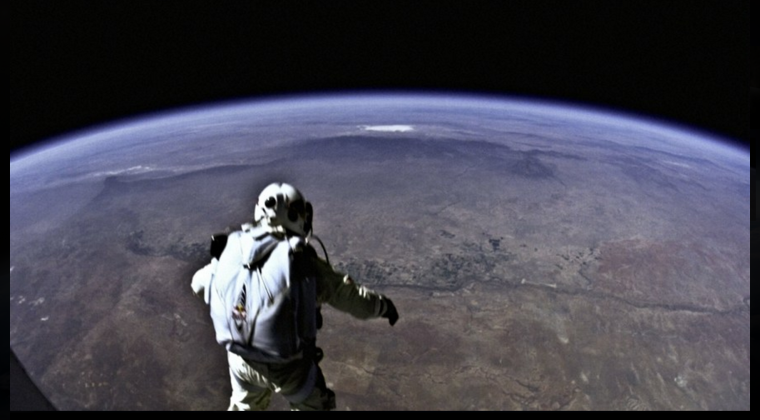 Baumgartner reached an impressive speed of 833 MPH, which is faster than the speed of sound. Not long after the record-breaking dive, Arun Hozack, VP of marketing at Red Bull North America, was quoted by Advertising Age regarding the company’s strategy. According to Hozack, “personal interactions, athlete sponsorship, event participation, and word-of-mouth has always been a part of our DNA. Social media in recent years is a natural evolution of our strategy and has amplified our engagement.” As a result of the partnership with Baumgartner and the event, the video of the jump received about 52 million views. Red Bull also saw U.S. sales go up by 7-percent after Stratos, which is equivalent to about $1.6 billion. Takeaway: Take chances and go for the unexpected. To promote its Bluetooth-enabled Everest series of five wireless headphones, JBL re-launched its #CordFail campaign in 2015. The idea behind the campaign was to encourage social engagement and funny conversations about the potential perils of corded headphones. Using the hashtag #CordFail, JBL sought to engage users on Facebook, Instagram, Snapchat, Twitter, YouTube, and Vine. The campaign went on for 33 days and the Vine celebrities Arantza Fahnbulleh, Josiah Early, Jerry Perndrank, Edwin Sanchez, and Nik Keswani were recruited to vote for the top 10 most original and creative concepts generated by the social community. The Vine celebrities were also to create content based upon those user-generated ideas. The winners were selected in December 2015. 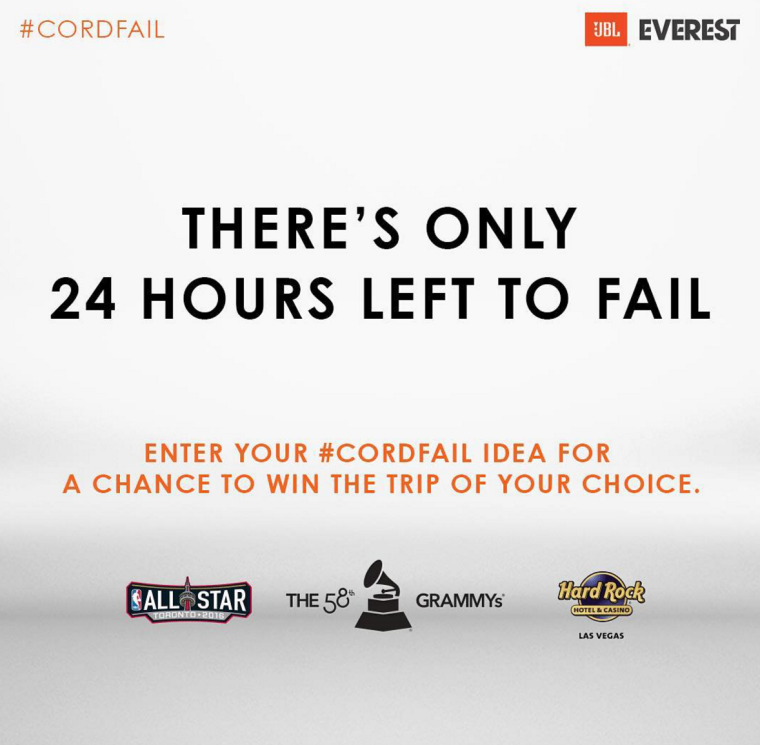 The #CordFail campaign resulted in 3.3 million social engagements and the video content generated over 3.2 million views. Plus, JBL attracted more than 5,000 new fans across its social properties. Takeaway: Encourage conversations and ideas with your social media campaign. 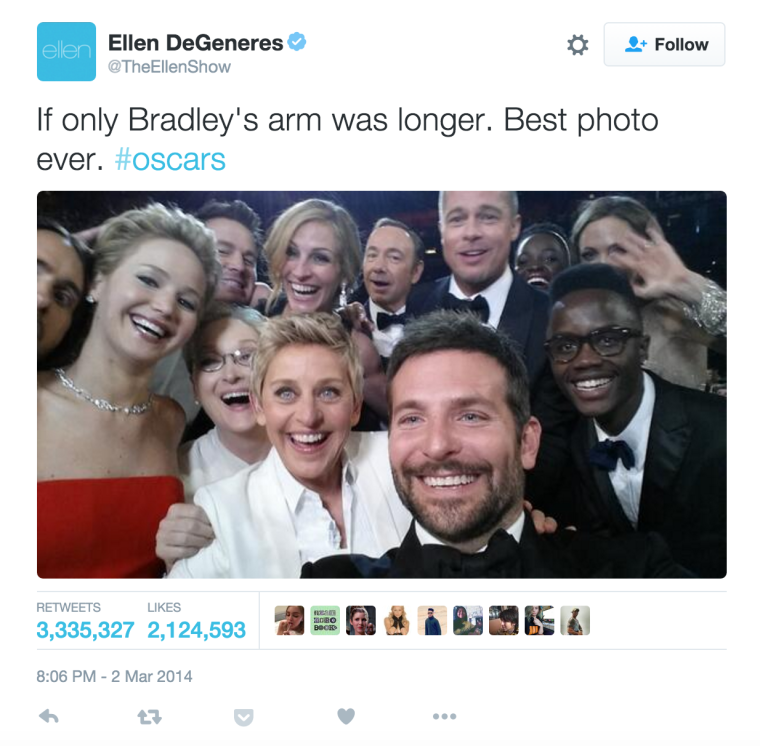 There was a lot of speculation about Ellen Degeneres’s famous Oscar selfie in 2014, but it’s worth mentioning. If you remember, Degeneres pulled out a Samsung Galaxy Note to take a selfie with a group of A-list stars. In just two days, that one photo was retweeted three million times and went down in social media history. The selfie was estimated to be worth between $800 million and $1 billion to Samsung. Samsung, which was a sponsor of the Oscars, claimed the photo was unplanned. Either way, it was the ultimate example of successful product placement—43 million viewers watched as the star-studded group snapped the photo with the Samsung device. Even though Samsung’s logo wasn’t shown in the photo, the media showed it in the original video and photos. Plus, the media frenzy following the selfie certainly helped Samsung gain attention. Takeaway: Be creative. Sometimes unplanned events garner the most buzz. Talking about celebrity social media endorsements warrants a reminder of the Federal Trade Commission (FTC) rules. 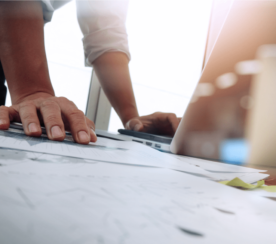 The FTC has cracked down on how sponsored endorsements are handled within social media and you can get all of the details by reading The FTC’s Endorsement Guides: What People Are Asking. A lot of lessons can be taken from analyzing celebrity endorsements on social media. 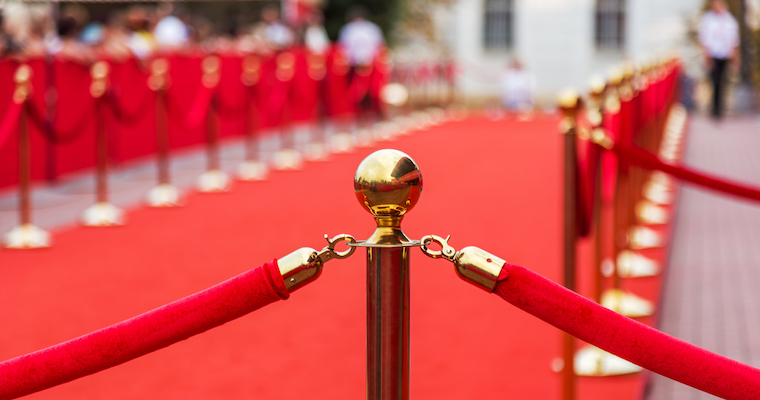 These social media campaign examples are just a sample of how brands have successfully used celebrity endorsements. If you have a campaign you would like to share, or if you want to weigh in on the examples I provided, feel free to comment below.